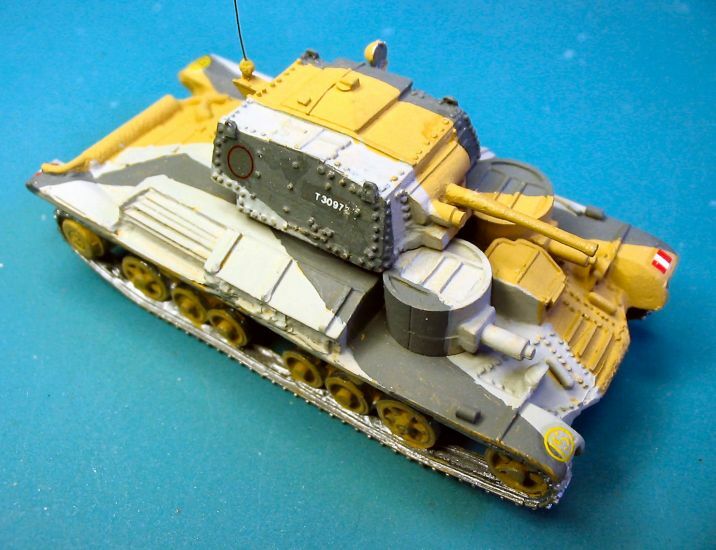 Kit 1: 1/76 White Metal, manufacturer Hincliffe / Skytrex, model from around 1980, low quality in details and rouch casting. 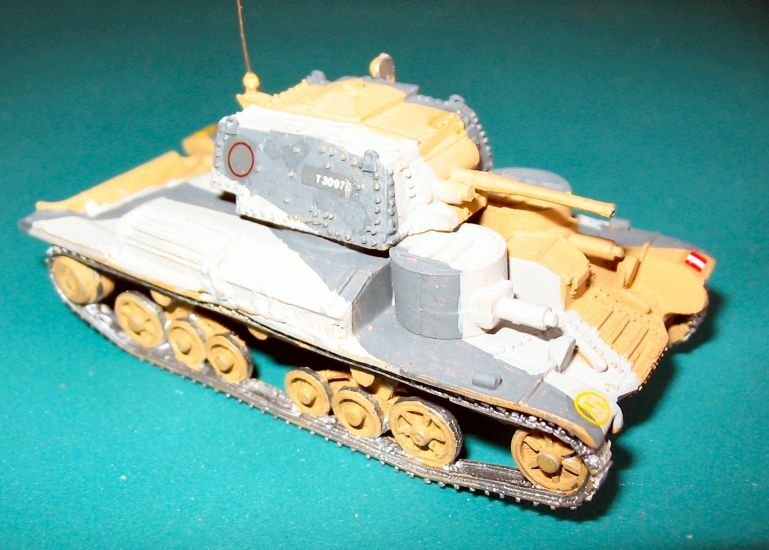 The A9 design was originally designated a Medium Tank when it was first designed by Vickers in 1934. 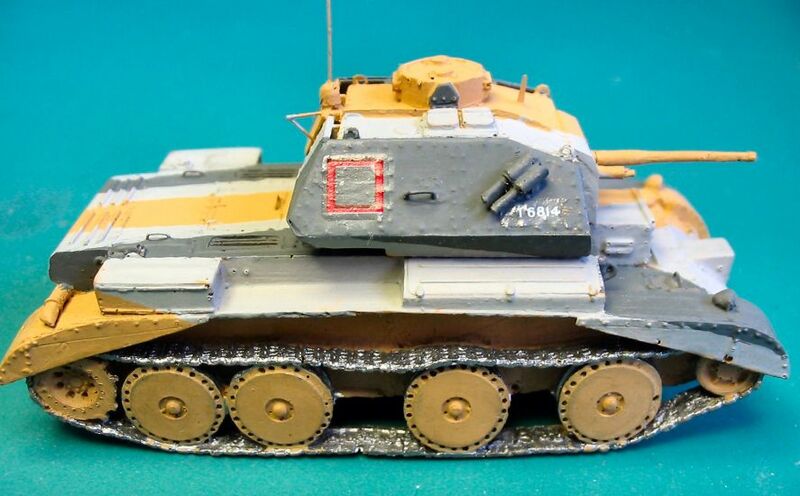 The polarisation of Army thought into Cruiser and Infantry tank definitions Turnet the A9 into the Cruiser Tank Mark-I, of which a total of 125 were built. 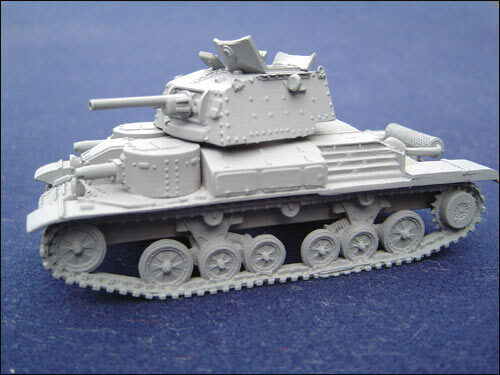 The Cruiser Tank Mark-I saw some action in France in 1940 and again during the early desert battles but in service it proved to be too slow and too lightly armoured. 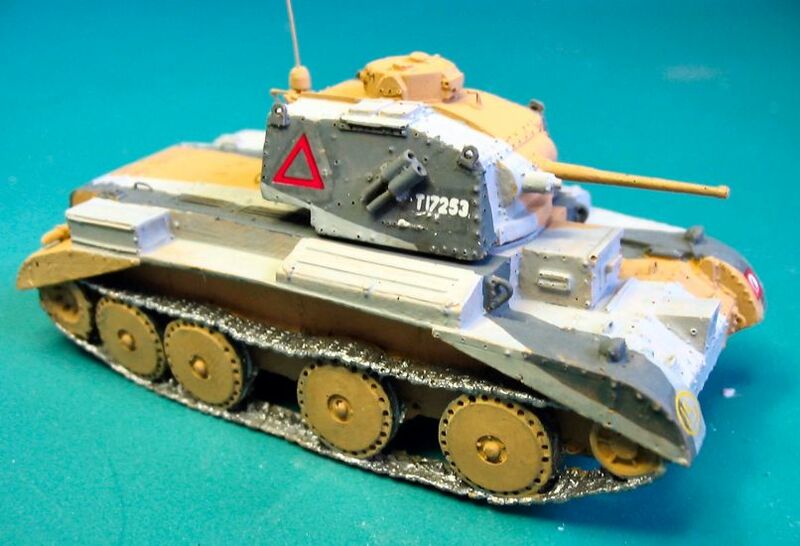 One of its best design features was its suspension which was later adopted for the Valentine Infantry tank. The main armament of the Cruiser Tank Mark-I was the 2pdr but some tanks carried a 3.7inch howitzer for close support work and in this form they were know as the Cruiser Tank Mark-IC. 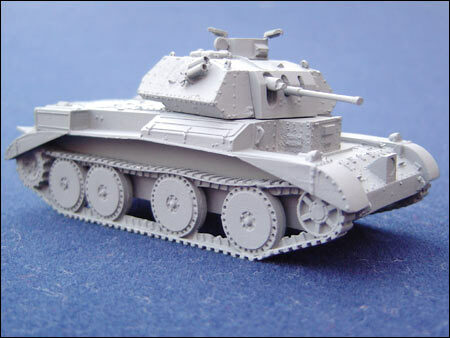 ....With the design of what was to become the Cruiser Tank Mark-III, British tank design undertook a radical step with the adoption of the Christie suspension. 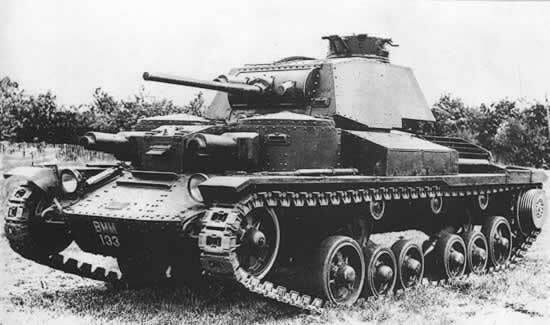 This American designed suspension enabled a tank to have a far higher running speed and a improved cross-country performance with no great increase in engine output, but the early trials with the new A13 design soon produced a large number of troubles that were never entirely eliminated. 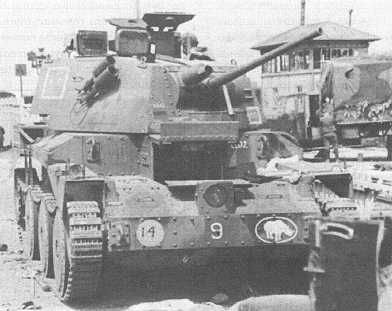 The Cruiser Mark-III was fitted with an American designed Liberty engine and production was carried out by Nuffields but only 65 were produced. 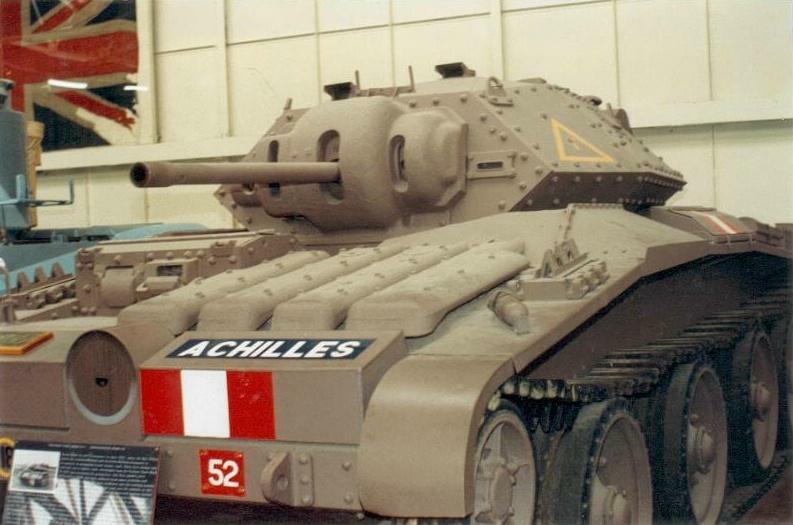 Some of these saw action in France in 1940 and in Libya but in service the type proved unreliable mechanically and was also too lightly armoured for its Cruiser role. Perhaps the most remarkable feature of the A13 design was that it went from the design stage and into service in two years which it was a remarkable feat of engineering, but unfortunately the end result was an unsatisfactory tank. 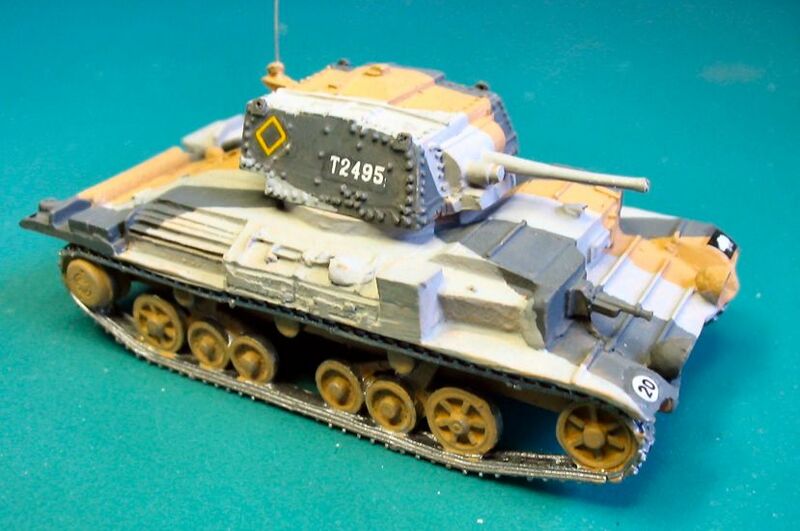 ...The Cruiser Tank Mark-IV followed the Mark-III on the Nuffield production lines in early 1939, and was basically an uparmoured version of the Mark-III -the design was originally known as the A13 Mark-II. 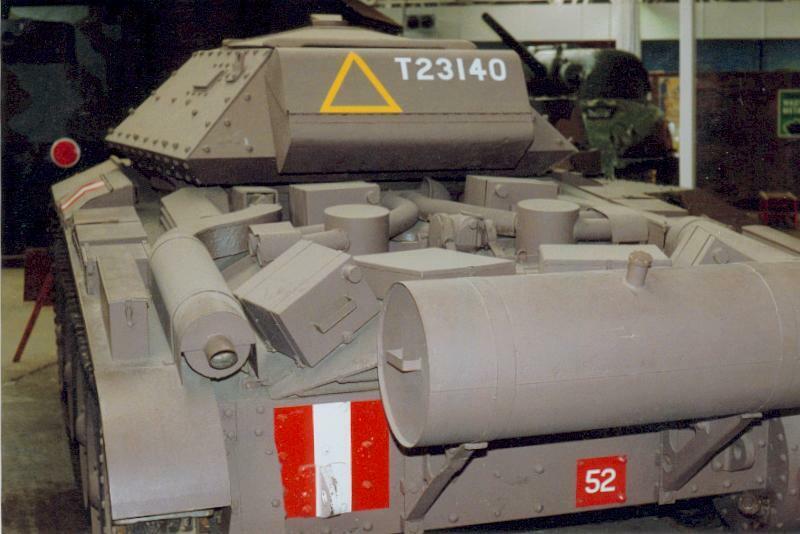 The main visual difference between the two marks was the turret which was much larger on the Mark-IV due to the addition of extra 'spaced' armour to the sides. 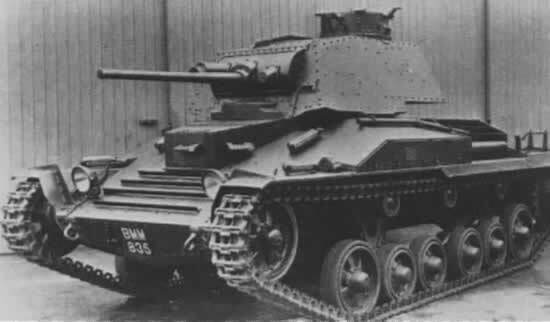 The Cruiser Tank Mark-IV became one of the most important British tanks during the early war years and 655 were produced, but in action the Mark-IV proved little more successful than the Mark-III, mainly due to its general unreliability and the retention of the 2pdr gun which proved to be too light during the 1940 battles in France and the early Western Desert campaigns- the one good point of the early Christie Cruisers was their speed which often got them out of trouble. The Mark-IVA differed from the Mark-IV by having a co-axial Besa machine-gun in place of the earlier Vickers. There was also a Mark-IVCS variant. 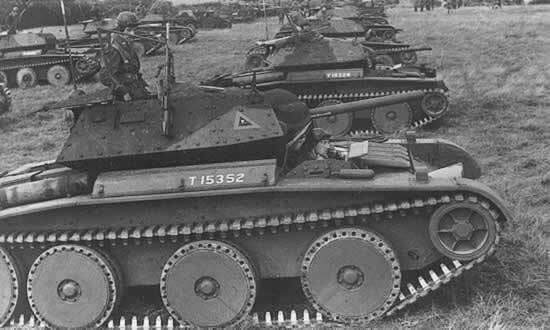 After 1940 many Mark-IV tanks were used in training role. .... After the basic A13 and the A13 Mark-II, the development picture becomes a bit complex as there was an A14 project which came to naught in a welter of mechanical problems, and an A16 which suffered the same fate. Both were cancelled in 1939 and the London Midland and Scottish Railway Company (LMS) were called upon to build a reworked A13 design which had to feature a lower silhouette and 30mm armour. 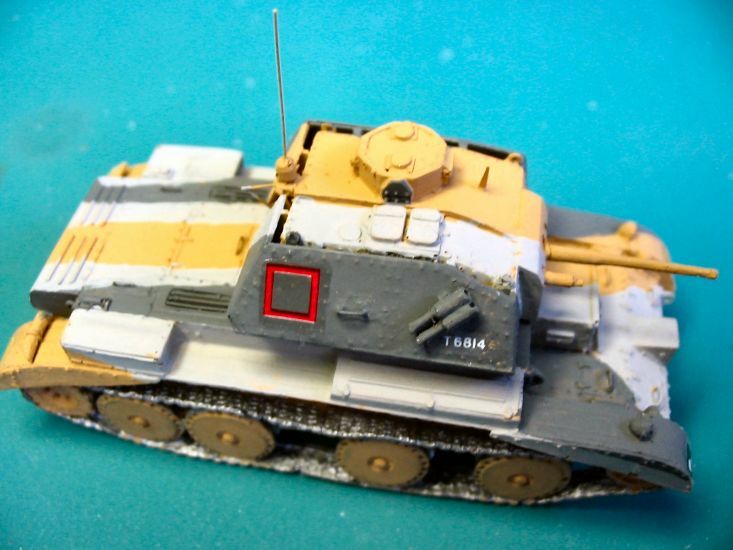 To decrease the height of the vehicle a 'flat-12' engine was fitted but the radiators necessary for this engine proved to be one of the main causes of the failure of the design as they could not afford the high degree of cooling that the engine required and breakdows were frequent and endemic. Also the tank was overweight for the suspension which affected the performerance. 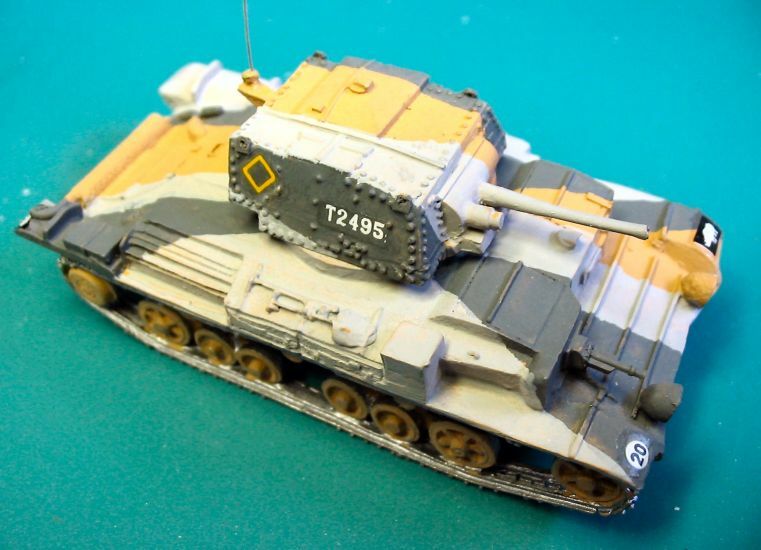 Despite many attempts to cure the engine cooling problems, the Cruiser Tank Mark-V, know as Covenanter, never did become an operational tank and its use was confined to the training role, but some were used as bridgelayers, OP Tanks, Command Tanks, and also as ARV vehicles. 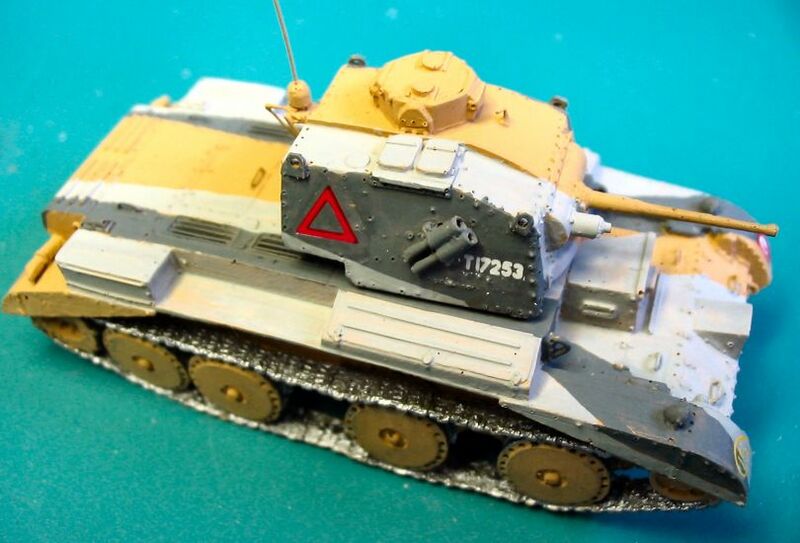 The Covenanter tanks ran to four marks which differed only in attempts to improve the cooling problems, and there was the usual CS variant, 1771 were produced.